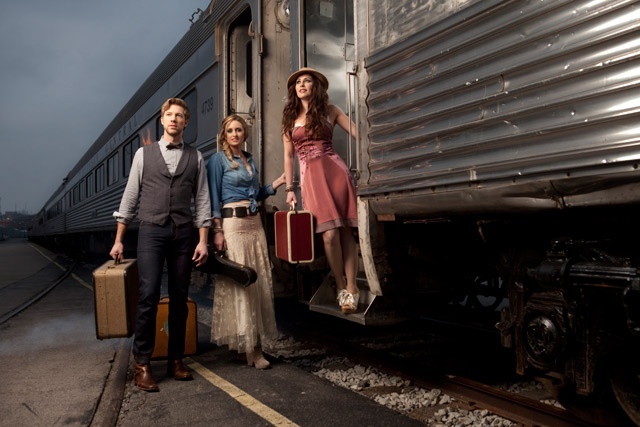 Edens Edge are an American country band comprising of Cherrill Green, Hannah Blaylock and Dean Berner. They signed a record deal with Big Machine Records in 2010 and released their debut single Amen in 2011. The group's self-titled debut album was sent to general release today and has already received many good reviews. The group are firmly new country but still stay true to an older country sound with great musicianship and sharp harmonies. While there are a lot of country music trios at the moment, Edens Edge manage to have a unique sound with Hannah's lead vocals and their skillful harmonies. My favourite song from their album is Amen, the song has a strong message behind it and Hannah's skillful vocals are supplemented by Cherril's and Dean's musicianship. All three of the group are from Arkansas which certainly contributes to their southern sound. In interviews Hannah mentions she likes singing gutsy songs and a listener can definitely hear this throughout their album. It is clear that Hannah obviously knows her strengths and I find myself drawn to the more gutsy songs in the album. Another very strong song from their album is Christ Alone. The song is sung completely acapella and makes a nice change from other more upbeat songs in the album such as Skinny Dippin' and Swingin' Door. A group that has the confidence to release an acapella song on their debut album is a rare thing now and is very refreshing. All of the songs throughout the album are strong in their own way and stand alone well however I would say Last Supper is probably my least favourite song. It is still a very strong song however I don't feel that it has the draw that the other songs in the album hold. Edens Edge are currently on the road opening for Rascal Flatts at the moment on their summer Changed tour but are also playing a few of their own dates throughout the rest of the year. 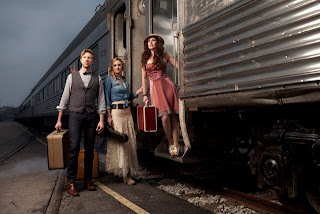 They have also toured with Reba and Lady Antebellum in the past. I hope as country music continues to grow in popularity in the UK that Edens Edge will then find their way over here. Four stars from me for a very strong developing group.